Mega Sale! 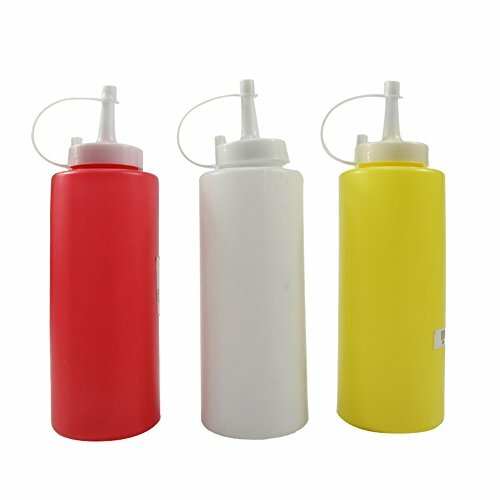 Save 26% on the T-MEKA 250 ml Squeeze Sauce Bottle, Best Dispensers for Home & Restaurant Ketchup, Mustard, Mayo, Dressings, Olive Oil, BBQ Sauce, Salad (Random Color) by T-MEKA at The Dinner Station. MPN: T-MEKA. Hurry! Limited time offer. Offer valid only while supplies last. Save money by buying condiments and sauces in bulk and then filling reusable squeeze bottles. Package included: 1x Squeeze Bottle. If you have any questions about this product by T-MEKA, contact us by completing and submitting the form below. If you are looking for a specif part number, please include it with your message.